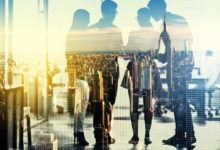 Real estate executives have probably read volumes about leadership and motivation, but the fact remains: worldwide, employees are less and less engaged in the workplace. EQ expert Ush Dhanak shows how inspiring them through emotional intelligence can motivate your team to new levels of success. While we all want the professionals we work with to be self-motivated, a helping hand from inspiring leaders never hurts. After all, without motivating his hordes, Genghis Khan may have remained the chief of a small Mongol tribe; and without inspiring a band of entrepreneurs to help him grow his empire, Sir Richard Branson might still be working in a record shop. The poll he is referring to found that only 15 per cent of the world’s one billion full-time workers are engaged at work. Something new is clearly needed. 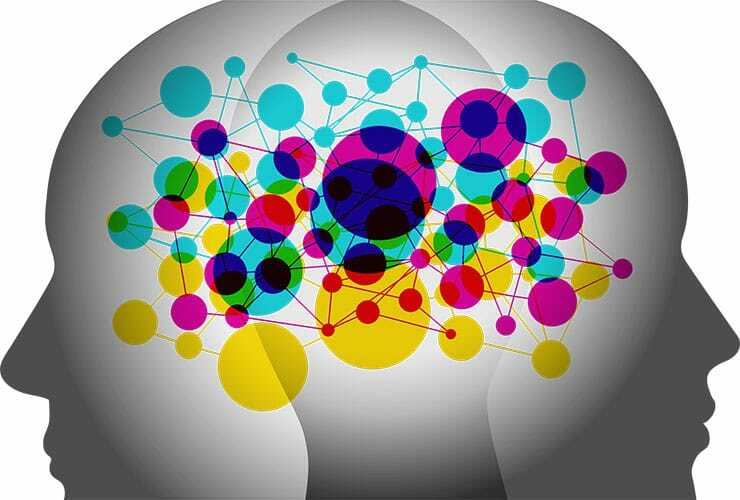 Is emotional intelligence, or ‘EQ’ as it’s sometimes termed, the missing link? Although IQ was once considered absolutely key for success, the fact that many successful entrepreneurs and leaders didn’t boast notably high IQs caused a rethink. Since the late 1990s, emotional intelligence has increasingly been identified as one of the elusive factors connecting the world’s most inspiring leaders. It is now seen as one of the foundations of powerful leadership in the boardroom too. And, without it, your attempts at motivating your team to higher performance levels or to embrace change in your organisation may be falling on deaf ears. So how exactly do you improve team motivation by raising your level of emotional intelligence? Emotionally intelligent leaders are naturally self-motivated. They are self-aware, confident of their abilities, resilient and committed to overcoming obstacles to get where they need to be. They have a positive, can-do attitude and high energy levels. Rather than being motivated by money and titles, they thrive on the success of their teams and are comfortable leading the way even through tough times. This is an infectious quality that rubs off on team members. Think of the leaders that you respect the most in your life and it’s likely you were motivated just by their strong guidance and positivity. We’ve all worked in places where there are hostile, conflict-based relationships between individuals and leadership, and we know how demotivating this can be. A toxic atmosphere can make just coming to work a chore. Emotionally intelligent leaders understand other people, are comfortable socially and love to build close relationships with those around them. They listen to and empathise with others and find them interesting, enjoy their company and naturally build rapport, trust and respect. Team members are more likely to ‘bond’ with leaders with this outlook, and with this bond comes the motivation to succeed and to achieve high performance levels. It’s very unlikely that employees will work so hard for a leader they feel disconnected from, and they definitely won’t go the extra yard for leaders who do not respect them. Because emotionally intelligent leaders build trust with their team members, they are comfortable with delegating tasks and leaving them to accomplish them. They are self-aware and understand their own strengths and weaknesses, so they also better recognise qualities in others. They will not over-expect or undervalue. They don’t live in fear of mistakes, constantly micromanaging and looking over shoulders or holding employees’ hands. Instead, they accept mistakes without flying off the handle and see them as learning experiences. This is motivational because it appeals to an employee’s need for autonomy and to self-govern. They feel trusted, competent and of value to the organisation. Emotionally intelligent leaders involve their team in the big stories and make sure that they feel included. They know the importance of the organisation’s vision and for employees to feel a part of this. They don’t just expect them to perform their tasks and go home; instead, they want them to understand how their role affects the whole organisation and will take the time to explain it. This appeals to an employee’s natural need to feel safe, appreciated and satisfied in their work. Such leaders also accept input and feedback from employees. Emotionally intelligent people are self-aware enough to ask the big questions without being fearful of the answers. They are comfortable in their own skin and will not react impetuously to negative sentiments from employees. Despite popular belief, relatively few people leave their jobs because of money. One of the key reasons people quit is, in fact, a lack of future opportunities. So, unless your organisation is providing a career path for your team members, watch out for a talent drain. With a revolving door of employees arriving and rapidly leaving, you end up with demotivated staff. Unless your organisation is providing a career path for your team members, watch out for a talent drain. The ‘Who’s next out of the door?’ mindset can take hold and start to poison the whole workplace. It’s a vicious cycle that emotional intelligence can help break. Leaders with EQ invest time and effort in their team members to help establish future goals. They become a coach and mentor, helping them with opportunities to achieve what they are looking for within the organisation. This is highly motivational for employees. The five characteristics above that boost employee motivation are all active on the deeper ‘human level’. They are personal characteristics that are just as important outside of the workplace as in it. Until we start seeing the workplace as an extension of our personal lives – and stop expecting people to change into high-performing machines as soon as they clock on for the day – we will not see workplace motivation levels improve. That’s why emotional intelligence has an important role to play for leadership now and in the future. 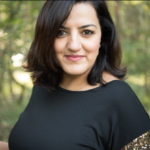 Ush Dhanak will be speaking at our event “How to build a winning team” on November 14 on the topic of How leaders can use EI to motivate teams. For more information and to book, visit eliteagent.com/win2018.